So You Want A Pug? Thinking of getting a Pug puppy? Ava now has a forever home! Do you live in Avon, Cornwall, Devon, Dorset or Somerset? This entry was posted in Blog, Fundraising on 24 March, 2019 by Janet. Gemma’s skydive for PDWRA – TODAY! 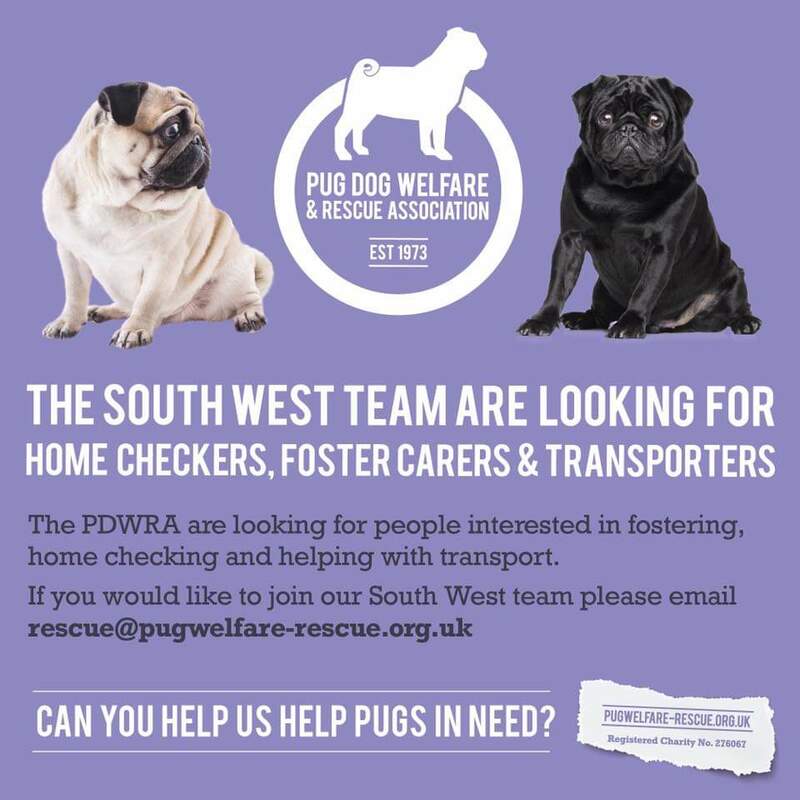 We need homes for pairs of pugs! Do you live in EAST or NORTH Yorkshire? 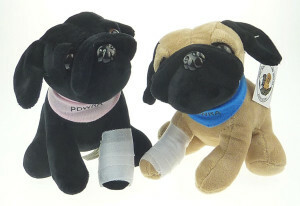 A few of our Poorly Paw Pugs are still waiting for their new homes! Order yours here! The Pug Dog Welfare & Rescue Association is staffed entirely by volunteers. If you would like to help the organisation with its running costs please donate by clicking the button below. You can donate using any major credit or debit card, using Virgin Money Giving or PayPal.